Video of the MSAD11 Board Finance Meeting on April 9, 2019. 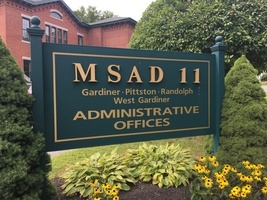 MSAD11 Board Finance Meeting held on April 2, 2019. Video of the MSAD11 Board Finance Meeting on March 26, 2019. Awesome student achievement! Last week, The National Art Education Conference was held in Boston with over 5,000 art educators. At this conference there was a state display of student work. Each state was allowed one panel. Our own Sarah Work had her tiger drawing chosen to be on display to represent the State of Maine. Enjoy!! We'd like to congratulate 8th grade student, Kerry Heald our school geography bee winner. Kerry will compete in the State Geography Bee, Friday March 29 at the University of Maine Farmington. Good Luck Kerry. 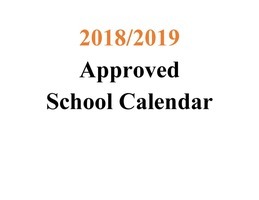 Please click here for 2019-2020 Approved MSAD 11 School Calendar. Mr. Gray’s Social Studies class had a Suffrage Party last week in honor of the 100th anniversary of congress passing the 19th amendment. It was officially ratified in 1920 by Congress. 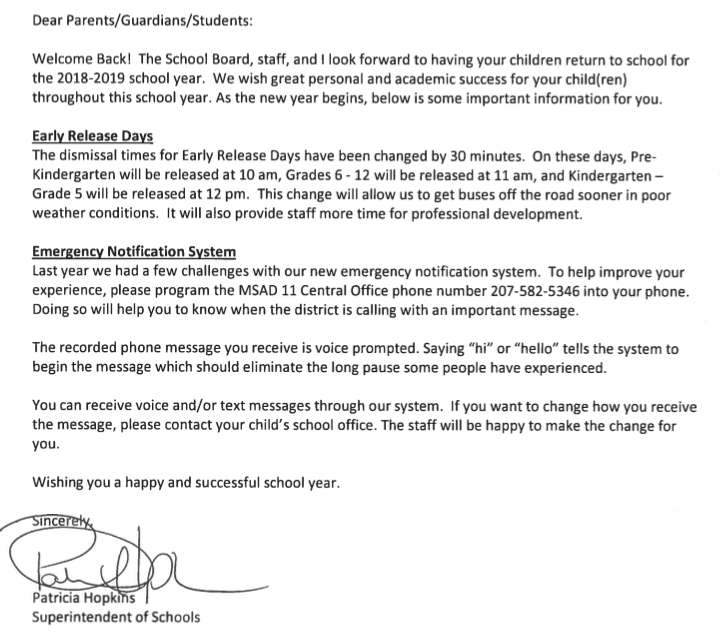 Click here to access Superintendent Hopkin's letter and the revised MSAD11 2018 - 2019 School Calendar. Congratulations to the Gardiner Regional Middle School Boys Varsity Soccer Team for winning the Capital Area League Boys Soccer Championship on Monday, October 29 against Telstar. Great season team! These students were chosen by the teachers on their team or the Allied Arts teachers as Students of the Week. The criteria used by each team may vary, but could include work ethic, academic excellence, kindness to others, cooperation, and other core values in our school. Join a team or club...Join the Boys & Girls Club...Volunteer...Assist the Elderly...Help where help is needed. Students are enjoying author Gary Schmidt at Gardiner Regional Middle School! Author Gary Schmidt visits GRMS. GRMS Core Value for the month of OctoberResponsibility: A responsible person considers and accepts the impact and consequences of his/her personal actions and decisions. 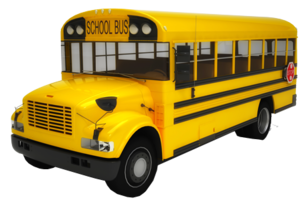 If your child will be leaving school at the end of the day other than in their usual manner, please send in a note or email blawrence@msad11.org and kparadee@msad11.org by 1:30. 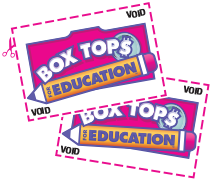 Please remember to collect and send in yourBox Tops for Education! MSAD 11 now has a mobile App! Maine State Law requires us to report our attendance to the Department of Education and at times the Department of Health and Human Services. If you child will be absent or tardy, please call the school at 582-1326. Good attendance is important for academic achievement.